Run by travellers for travellers you'll find everything you need from comfy, fully-made beds, spacious well-equipped kitchen, colourful lounge and shared bathroom facilities to a variety of musical instruments, board games, books and even an art corner! An eco-friendly hostel, we take steps to limit our environmental impact from extensive recycling, composting and herb and vegie gardens to offering you free Fair Trade organic tea, coffee and hot chocolate. 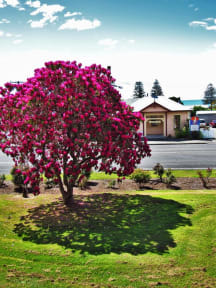 Our friendly staff are Kaikoura lovers and full of local knowledge, available to book tours, onward travel and accommodation and are always free to teach you some chords on the ukulele! Join us in beautiful Kaikoura, where the mountains meet the sea and enjoy warm communal vibes, shared meals with new friends, jam nights, pancake Sundays (including sleep ins and late checkout!) and our famous winter onesie-land! 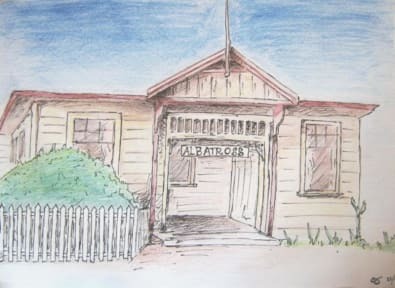 We look forward to meeting you soon and hope that The Albatross feels as much a home to you as it does to us. This hostel is so great! They really know how to make it feel like home and it’s so easy to meet other people there! The staff are super friendly, free pancakes and late check out on Sunday is lovely, perfect location for whale watch or dolphin swimming! Would definitely stay here again! Great place to stay. Excellent friendly staff and especially enjoyed the film and pizza evening. Very relaxed atmosphere and good to hear people playing the piano and other musical instruments. Me and 6 of my friends were traveling through NZ and stayed at 6 hostels (and camped the rest of the way) and this was by far our favorite hostel. Great people, great atmosphere, great location. Thanks for a great time! This place is a heart with its soul, a house and it's staff. C.
Quite a busy hostel, atmosphere seemed nice. Not too noisy in the evening despite this. Kitchen and showers were clean. Probably better for younger travellers, but fine for those wanting a quieter life! Great place to stay while in Kaikoura! The staff was phenomenal and I loved the lazy Sunday atmosphere. They made us pancakes and we got a late check-out that day. The place was very clean and the room was cute. Showers were really nice. The only downside was the walls were very thin and we could hear people in the other rooms very clearly so got woken up a couple times through out the night. A quirky little place with lots of character. Clean room and bathroom, great showers. Good atmosphere from the other guests, kind of like a big house rather than a hostel. Quite a unique place to stay. Hostel is basic but fine for what it is. There is no real security or place in rooms to lock things up (it’s behind reception). Female dorm is very very small but has its own seating area and kitchenette which was very nice. Location is good and quiet surroundings. Parking on site too and on the street. WiFi is medium to poor (especially in the rooms). Would consider staying again but rooms were overpriced for the facilities.